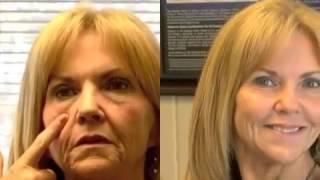 No Surgery Face Lift - Be younger without surgery! 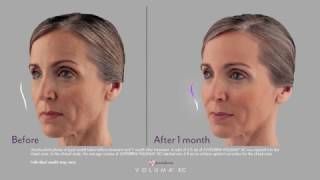 Face Lift - Turn back clock without surgery! 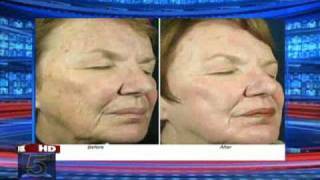 FACE LIFT - Look Younger Without Surgery! While the days of the surgical facelift are by no means over, today’s less invasive options offer a number of strategies to reverse the effects of time without resorting to the trauma and risks of surgery. 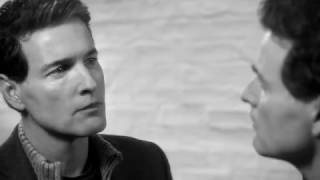 Many men and women today simply aren’t interested in such a radical procedure, in part because they fear the effects or can’t take the time away from work or family. We employ many tools such as Botox/Dysport/Xeomin to reduce lines and wrinkles, Fillers such as Juvederm, Radiesse or your own PRP & fat to contour your face, lasers to rejuvenate your skin for perfect color, tone and texture and heal scars and imperfections and skin care products to make the results last long. By combining various non-invasive, virtually painless techniques using botox, fillers and lasers, we can fill deep wrinkles, enhance aging lips erase the lines across the forehead, fill the cheeks, lift the jaw line, smooth the chin, and soften lines that run from your nose to the corners of your mouth and make your skin tightened and glow to give you a youthful look. These procedures are quick, safe and can be done in your lunch time without downtime. * Dr Malhotra uses FDA approved available dermal fillers on the market today to ensure that you get the most natural long lasting procedure. * The fillers are injected in small quantities and may cause mild swelling/bruising, but should result in very little recovery time. Finally, there is an art to these aesthetics treatments and combining them to achieve the best, most natural looking results it must be placed in right quantity and in right place by an experienced Dr. Malhotra. Contour your face like above with fillers such as Juvederm, Restylane, Radiesse or your own PRP and Fat. Dr. Malhotra can fill deep wrinkles, enhance aging lips erase the lines across the forehead, fill the cheeks, lift the jaw line, smooth the chin, and soften lines that run from your nose to the corners of your mouth. Using Botox® or Dysport® for frown lines, crows feet and worry lines is a great way to reduce the look of tension, anger and aging. By simply reducing the wrinkles in these areas, many feel as though they look more refreshed and approachable in their workplace and/or social life. Cosmetically we use BOTOX® treatments to relax the muscles in the face that create fine lines and wrinkles and to prevent further deepening of lines. It is a simple 10-minute procedure, with a few tiny injections directly into the muscles we want to treat. Dr. Malhotra is a Botox / Dysport expert in San Jose. Rejuvenation is the process of restoring to a new or more youthful appearance, and that’s exactly what our treatments aim to do for your skin. From wrinkle reduction to acne to hair removal, we are able to treat a range of conditions with the latest FDA-approved technologies. We have six different lasers to treat various skin conditions and rejuvenate it for perfect color, tone, texture and glow for a youthful look. 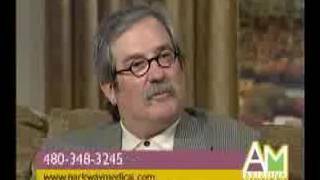 Contact CosMedic Laser Clinic at 408-945-0400 for Free Consult. Laser Hair removal is the most popular light-based aesthetic procedure in the world, and intense pulsed light is by far the most popular method of performing photoepilation. Using an HR AFT handpiece, Alma Harmony XL can deliver fast, effective results for permanent hair reduction on all skin types, including tanned skin. Pulse technology makes it virtually painless. We can remove you have hair on your face, underarms, legs, back, chest, bikini or any other area, we can help at CosMedic Laser Clinic. 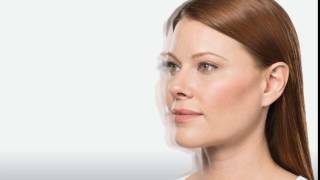 A non-surgical face lift , also called mini face lift can improve the overall appearance of the skin without the cost, time, and physical difficulties of traditional face lift surgery. Face lifts without surgery, such as the Laser Face Lift, Botox and Fillers, Laser 360, Skin Tightening, no needle mesotherapy, DNA repair, medical grade cosmetics, Laser Skin Resurfacing and Smoothing will improve skin color, texture and reduce acne scars as well as wrinkles. 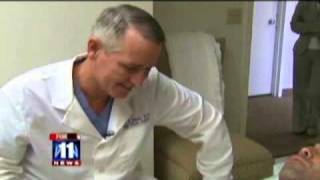 These procedures that are performed at CosMedic Laser Clinic offer great benefits to patients unwilling to go under the knife. Face Lift without Surgery is now possible to have an effective face lift without surgery plus a great looking natural skin and lift. These procedures are minimally invasive, remarkably efficient, and practically pain-free. Dr. Malhotra will combine different technologies, techniques, treatments and nutrition into a treatment plan that is customized exclusively for you. Nose jobs and Mini Face Lifts are now faster and easier than they once were. The new 15 minute nose job and mini face lift without surgery provides patients with a contoured, shapely nose, and face enhancing their overall appearance and increasing their self confidence. During a 15 minute non-surgical nose job or mini facial lift, patients undergo a BOTOX® Cosmetic, Juvederm® or Restylane®, or Radiesse® filler treatment, depending on the dermal filler option your physician will offer after consultation. These facial injections, normally used to reduce crow's feet and deep facial wrinkles, can now be used in the nose and face to even out bumps and bulges and enlarge lips and cheeks. The 15 minute non-surgical nose jobs or mini face lifts are relatively painless and can be completed in one short office visit. During the treatment, Dr. Malhotra will inject the facial filler into the desired areas of the nose, lips, cheeks and face to help camouflage abnormalities. A nose job and mini face lift without surgery is an excellent and affordable option for patients who would like to achieve a more pleasing appearance without undergoing extensive rhinoplasty. In addition; Laser Resurfacing if needed will smooth the skin and make the color of the skin even and make it younger looking. 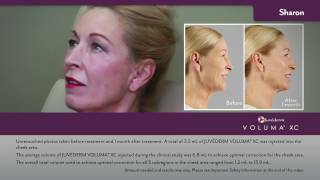 Looking for a face lift that doesn’t require incisions? With a laser face lift, there is no cutting, scarring, or anesthesia. Using laser technology, doctors resurface and tighten the outer layers of the skin, leaving patients with fewer fine lines and wrinkles. The non-surgical laser face lift does cause some minor discoloration and sensitivity immediately after treatment; however, these side effects typically disappear within a week. Laser Face Lift provides rejuvenation of the skin, tightening of the facial muscles, reduction of sun damage, and improvements in overall skin tone. By promoting the skin’s natural ability to produce collagen and elastin, these non surgical face lifts leave patients with subtle but exceptional facial enhancement. In certain situations, even the least invasive non-surgical face lift procedures are undesirable or impossible, as in the case of patients with skin that is too thin or too sensitive for thread face lifts or laser face lifts. Luckily, the range of natural face lift products is rapidly increasing and improving. Face lift creams containing highly concentrated solutions of amino acids like acetyl hexapeptide and alpha hydroxy acid are intended to tighten skin and reduce fine lines. We carry many medical grade cosmetics with Rx ingredients to keep your skin radiant and younger looking and reduce future aging and sun damage. Rejuvenate your skin with Laser360™. It's an exciting new aesthetic laser treatment that combines three revolutionary technologies to deliver softer, younger-looking skin in just 60 days. If you're not ready for a facelift, but you're no longer satisfied with the results of topical creams and lotions, Laser360 skin resurfacing is for you. Laser360 complete skin rejuvenation will improve your skin's color, texture and tone. Dr. Malhotra will combine different technologies, techniques, treatments and nutrition into a treatment plan that is customized exclusively for you. candidate for these procedures.Turn Back the Clock now without surgery! Subtract Years From Your Appearance!